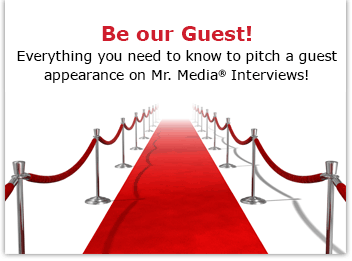 Mr. Media is recorded live before a studio audience with no recognizable job skills whatsoever… in the NEW new media capital of the world, St. Petersburg, Florida! Order Hire Me, Hollywood! by clicking the book cover above! If I were you, and you were interested in getting a job in the entertainment industry, I’d listen to today’s interview with writers Mark Scherzer and Keith Fenimore. Then I’d order their new book, Hire Me, Hollywood: You Behind-the-Scenes Guide to the Most Exciting—and Unexpected—Jobs in Show Business. Trust me, it’s that good. Frankly, even if you don’t have stars in your eyes, this book is a great read. It’s packed with short question-and-answer interviews with everyone from Regis Philbin’s morning show producer, Gelman, to Mike Alexander, the lead animal trainer for Harry Potter and the Chamber of Secrets. Read this book and learn what it meant when TV writer Lisa Melamed’s Uncle Ira said, “I’m sorry your mother is dead and all, but this corned beef is delicious”! Discover why Conan O’Brien told his senior talent producer Paula Davis about his assistant, “I’ve had her do that ever since my cuckoo clock broke”! And don’t miss character actress Carol Ann Susi, who plays Howard’s unseen mother on “The Big Bang Theory,” explain why she doesn’t mind skipping hair and makeup preparations to do her part on the show! All this and a conversation with Marvel Comics’ legendary creative man, Stan Lee! Whew! Time to let somebody else do the talking about showbiz jobs. Excelsior!